Both articles do a great job of highlighting what chaplaincy would look like within the Hindu community. I’ve had the opportunity to speak at length to authors of both articles. I also work closely with Swami Sarvaanandaji as I work towards my board certification. I wish to offer a slightly different approach to the need for a chaplain who is Hindu. As I visit patients in the hospital, I walk into a wide variety of situations. There are so many occasions when I have an opportunity to work closely with family members of patients who are going through some major illness and there are times when there is a patient who has absolutely no one else in his or her life to even visit them at the hospital. One visit comes to mind right now. I was visiting a really elderly woman (let’s call her Ushaji) who had been at the hospital for over ten days. When I visited her, she asked me in broken english – Are you Indian? I smiled at her and answered – Yes, I am. Her face lit up and she asked me whether I could speak and understand Hindi. I said – Yes, I can. Those three words opened up a whole different personality of this woman who, until that point according to her medical staff, was quiet, reserved in her behavior. The freedom of being able to communicate in one’s language is such a huge freedom for people in a hospital setting. While chaplains are not medical interpreters, just being able to converse in one’s native language can be a major ice-breaker. This is why there is a need for an Indian chaplain. As I continued to speak with her, Ushaji shared some wonderful stories about her upbringing and her family. Then we struck the real issue – her faith. She did have visits from other chaplains before but she was hesitant to ask them what she asked me. She asked me whether I knew of a particular Guruji who gives spiritual discourse (pravachan). I instantly knew who she was referring to and asked her more about it. Over the conversation, I was able to dig out more information about how important it had been for Ushaji to watch this Guruji every morning and evening – something she had not been able to do for over ten days now. I told her that I will ensure she gets to listen, if not watch, the pravachan at least once a day when I visited her. I ran a request through my director and was able to bring in my personal laptop to Ushaji’s room so she could watch 15 minutes of this Guruji on Youtube. Ushaji was elated about this and over the next 4 days, she was responding better than ever to the treatments and was home by the end of 6 days. This is why there is a need for a chaplain who is a Hindu. Another example is that in a university setting. There are many Hindus who work in the college/university setting as a Hindu Life Advisor (or Coach or another title of the sort). Their presence allows Hindu teenagers to voice their opinion, share their concern without feeling judged and to have their cultural needs met. An example comes to mind. A sophomore (let’s call him Jeet) at a very good university (hundreds of miles away from his hometown) was stressed out and through some channel found out that he could talk to a Hindu life advisor who works for the university. Jeet went to the advisor and was able to vent his frustrations about his parents, their expectations of him and so on. Someone had told Jeet that he was an adult (18 years of age or older) and that he could do what he wants. Well, Jeet knew better. He knew that he could not just do what he wants because the opinion of his parents mattered to him. He needed someone who understood that cultural need. This is where the Hindu life advisor on campus was a great resource and support to him. This is why there is a need for a Chaplain who is a Hindu. Having shared these stories, it is important to remember that a professional chaplain of any faith will be able to assist a patient of any faith. Actually, it is a critical training component for professional chaplaincy. The challenge, though, is how little others know about the Hindu dharma and the myriad of practices that fall under dharma. This is why there is a need a chaplain who is a Hindu. It’s January 26th, again. I always amaze myself at how quickly time flies by and I am left wondering where did all the time go? It’s not as if we haven’t paid attention to the dates and all but there are some feelings that seem to have stayed, irrespective of how much time has gone by. It’s India’s 66th Republic Day today. I stayed up late last night watching the parade live on TV. It’s an annual tradition but this time was even better because our current US President, Barrack Obama, was the guest of honor (a huge first in itself). January 26 has a separate anniversary personally too and just found out today that is also Michigan’s birthday! Special date, indeed. I hope to write more often. I was going through my archives and I realized I’ve been blogging off and on for nearly a decade now. I did have a blog before that I did not save. So technically, over a decade of blogging had I saved my first one. There’s so much happening both professionally and globally. I realize that it’s time to put in more effort to get these words out. Chaplaincy is going well and God-willing, it will only get better. There is a huge list of events/incidents, since my last blog post, that need to be committed to memory through writing them down. I intend to do just that. With so many atrocities going on around the world, it’s difficult to remain unaffected. There’s only so much one can avoid listening to the news or reading something on the internet that will not refer somehow to the ongoing events around the world. The challenge then becomes to not become angry or upset or worse, hopeless. It’s so hard to not get upset when a 20-year old man kills 27 people out of which 20 are 6 or 7 year old children. Details here. How can I not be upset? It’s so hard to not be angry when a young medical student is gang-raped ruthlessly, in the most monstrous manner and thrown out of a moving bus in the capital city of the world’s largest democracy. Details here. How can I not be angry? I realize a single person cannot change the whole world. The only world I can change is the one I create for myself and everyone around me. It took a lot of talking, and arguing whenever any of these topics came up. It’s personal. How can it not be personal? Am I not human? Are these people not human? What did I do to remain hopeful and to not lose faith? Something absolutely ridiculously obvious. I went out to the mall on the last Sunday before Christmas. Yes, there was absolutely no place to park and the mall was uber packed with people. People rushing last minute to get their shopping done, kids playing in the small play area carelessly, and some more kids and adults waited in line to take pictures with mall Santa Claus. As I stood there observing, I felt joy within myself. The smiles that the mall Santa Claus brought on the children’s faces was overwhelming. I let myself get drenched in the excitement that resonated throughout the mall. It was necessary for my own sake. I walked out from the mall (yes, I did cave in and shopped a bit) with a much lighter heart. It’s Christmas time. One of the best times of the year in North America. I will pray. I will hope for a miracle. I will keep the faith. And I urge you to do the same. This sets the theme of the journey that life has brought my way. Or maybe in some way, I am destined to be walking this path. It’s official. It’s happening. 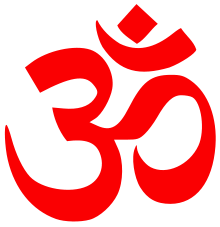 I have just started taking the first steps on the path to combining my faith (Hinduism – Sanatana Dharma) with my career (Health Care) and serve. So why am I going public with this? Because I realize I need a lot of references, need to do a lot of research and of course, understand and apply it to myself first. Does that mean I will not have my occasional outbursts? I doubt it. I am sure I will have a post or two every now and then where I am just venting. I am going to need a lot of pointers and it’s going to be interesting. I am hoping anyone who reads this blog and has pointers will speak up and direct me to a source where I can get more information and expand my understanding. Here’s the thing: I finally realize what it means to “love” God. I am now beginning to have an idea as to how Meerabai and Chaitanya Mahaprabhuji felt towards Shri Krishna. I am beginning to realize how madly you must “love” God to have that unwavering faith in God’s work like Narsinh Mehta did. I also realize, it’s a long long way for me to where I can even come close to claiming to feeling the same. Sometimes you don’t realize how much you’ve learned or not learned or even unlearned in the days that go by. Sometimes it takes an argument or an intimate conversation or just some heart-to-heart with a dear friend. Recently in a reply to a friend’s email, I realized how much the way I live my life has changed. After sending the email, I re-read my reply a number of times to convince myself that it was really me who had written all that. I remembered where I needed to go every time I need refuge. No one will be able to take it away from me. No one will possibly understand it and to be honest, I think I’d rather have it that way. If anyone needs me, I’ll be with My Bougainvillea. “Communication is the hardest thing we do every day.” My professor says it all the time. Every single time I wonder why is it so? Something that is so essential to us getting by every day is the hardest thing to do. Ironic, isn’t it? Like I’ve written in my previous posts, I’ve learned to say what I feel. It is not the easiest thing to do. I realized it a long time ago. But then I also turned to introspection as why it was difficult to come out with words when we needed to say it the most. Why is it so easy to express anger in words than love? Why is it easier to push someone away than say that I really want you to stay? I got my answers. Like always, in time. It is easier to be angry because you do not have to back it up. It is easier to push someone away because you do not want to deal with the implications. It is easier to say I hate you because saying I love you will mean you will need to stay. Unconditionally. I say I love you all the time to people who I know I must tell. I just do. Because I have the strength to back it up. This past weekend has been a roller-coaster ride. Something as simple as a song on the radio made me break down and cry. A startling thought crossed my mind: I was not loved. It sent shudders through me and I decided to go out for a walk. Alone. I remembered to pick up something so I stepped into a store. I was looking through some things when I saw the person working there wearing a badge that said : Remember to smile. It made me smile and I complimented the associate. In return, the associate gave me a card saying, “Hallmark is giving out a free card for customers and this one is for you.” I opened it. Behold! It said: Always, always, always, always remember you are loved. My smile turned into a grin. I thanked the person and walked home. Affinity is a word that has a definite meaning in the world of natural sciences. But take it a step further and apply it to your own self. For the longest time, I’ve been looking for explanations about how certain people or things make me feel. When I say things, I do not mean only materialistic, tangible objects. I am also referring to the intangible entities such as music, languages and so on. For example, I have noticed that I feel strong positive emotions towards Sanskrit. I feel strong affinity towards the language irrespective of the fact that I do not know how to speak it, let alone understand. I feel a strong connection to the shehnai, irrespective of the fact that I do not know how to play it. I know exactly how the Vedic chants make me feel. I know exactly how I feel when I look at a certain picture. And the hardest part of knowing all this is the inability to express the feelings in words. No matter how hard I try, I will not be able to do justice about how ethereal I feel when I listen to Latika’s Theme by A R Rahman or how absolutely divine it feels to listen to Ustad Bismillah Khan’s playing Raag Malkauns on the shehnai. I am off for some more music. Cheerios for now!